London (UK) and Chennai (India), 19 Feb 2019: BBK, one of Bahrain’s leading banks, selected Intellect Global Transaction Banking (iGTB). iGTB is the transaction banking and technology specialist from Intellect Design Arena Limited, the fastest growing B2B Fintech product company with CAGR of 21% over three years. Rashad Akbari, Assistant General Manager, Operations, BBK added: Bahrain’s banking industry remains its largest non-oil GDP contributor. The country is driving numerous initiatives in order to transform itself into an innovative finance hub in the Gulf Region. With these initiatives come new opportunities for finance technology companies and institutions aimed at digital transformation. Consequently, the country is in need of robust, affordable and risk-alleviating solutions, given the continuous rise in smart phones and internet usage. Digital banking is the way to go, and BBK’s choice to partner with iGTB, with its superb customer experience in its customer facing channels, will ensure that we are a step ahead and future-ready. 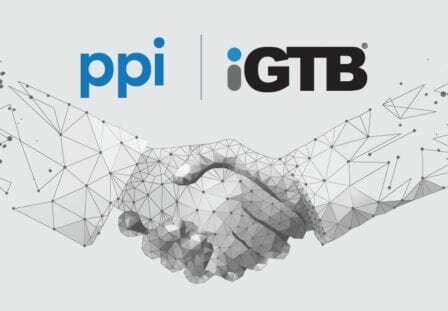 “We are delighted to partner with BBK and this deal reinforces Intellect’s leading position in the fintech market as a provider of cutting-edge digital transformation technology solutions, esepcially in this region where DTB is allowing banks to compete with the global giants. Our platform enables banks to build an ecosystem where their clients enjoy seamless digital experiences across their value chain, whether that’s in liquidity management, or in the integrated payments services platform. Ultimately, this empowers banks to become their clients’ principal banker, boost revenue, and shield themselves and their clients from market risks. Our platform ensures that a digital bank is both efficient and profitable to all parties involved.